March 7th, 2007. A date that will live in comics infamy. The day that America lost its heart and soul. Captain America, after surrendering at the end of the superhero Civil War, walked up the steps of a New York Courthouse and was gunned down in a massive conspiracy orchestrated by his original nemesis, the Red Skull. It made national mainstream news. The death of a comic book hero was covered by everyone from Yahoo’s front page to the Daily Show and from ABC News to CNN. For a moment in time, a nation mourned the death of a fictional character. Eventually, people got back to their everyday lives. Many quickly forgot as they brushed off the death of a fictional character. Others took longer to recover because an ideal, the embodiment of their nation, a symbol they had looked up to for as long as they could remember, was gone. What might have made it easier for them was the cliche’ that characters don’t really stay dead in comics. With a few exceptions (Most likely because the deaths have been so recent), this holds true. Two of the best examples of this are DC’s death of Superman and Marvel’s death of Jean Grey. The former made national news in the 1990’s and had everyone catching the collector’s bug and clamoring for the comic. Issues which priced at $1.25 were bought in by the caseload only to be resold for $50 to $100 an issue. Warning! This post contains spoilers. In an unprecedented event, many comic book retailers across the country received and released Captain America #600 today, two days before the regular release day. It was said that this issue will “change everything” and have a huge impact on the rest of the comic book world. Why? Because according to Marvel comics Editor in Chief Joe Quesada (who will also be doing a special variant cover for issue #1 of the comic), Steve Rogers (aka Captain America) is returning from the grave. 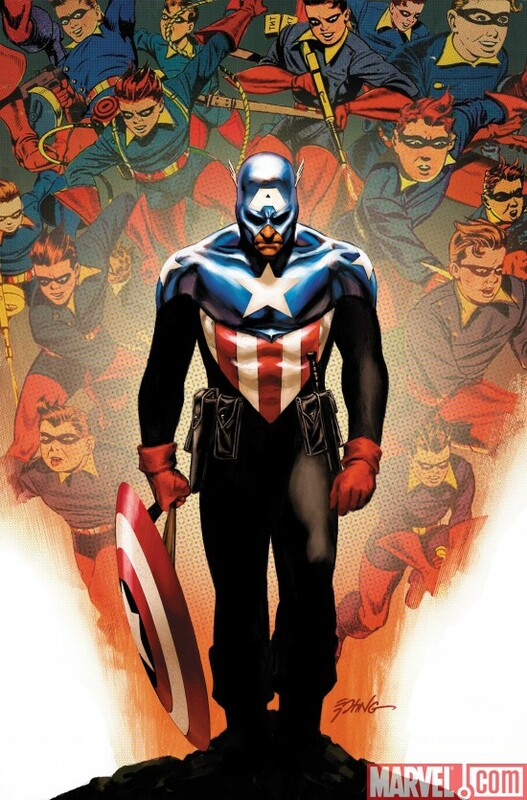 For those who aren’t aware, Steve Rogers was gunned down in a highly publicized March 2007 issue, which was quite a bold move at the time, killing off a main character and allegedly having him “stay dead”. From there, Cap’s former sidekick, Bucky Barnes, took the mantle of Captain America and continued fighting for justice. Many fans are outraged, stating that this is another “Superman tease” and how nobody in the comic industry has the ability to keep a character dead. Is this true? Will this have the same outcome as another dead character over at DC? We’ll all find out soon. But until then, you can check out the spiffy Captain America Reborn trailer from the new Marvel minisite, and a larger Quesada cover variant, after the jump.